War clouds were gathering and the storm burst on 3rd September 1939, and although time trialling was becoming increasingly difficult, there was still a limited amount of it, especially in the early years of the war. The R.T.T.C Handbook for 1941, which was nothing more than a 16-page booklet, only listed 228 open events and 6 hill climbs for the whole year, an indication of the difficult times. As most of you know we are not promoting our Open 12 Hour and 100 mile events, but a 50 mile event will be held on August 4th instead. 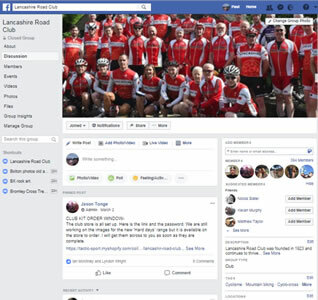 Arrangements have been made with the Warrington Road Club to assist each other in the promotion of our two events, both of which will be held on the same South Lancs. course. These are hard times for us all I know, but I think we can safely carry on with the Road-Game without hurt or hindrance to anyone if we choose our courses carefully. If any of you can find time to help on August 4th will you please drop me a line, it will greatly help and save a lot of unnecessary writing. War or no war, our boys are doing their stuff on the road, our bag to date being: 12 firsts, 3 seconds, 3 thirds, 7 fastest team wins and 3 handicaps. In the Solihull 25, in which 3 of our boys, namely Jack Mullineux, Stan Haslam and Eddie Leece were invited to ride, two club records went by the board. Eddie lowered his own 25 time by winning with a 1.00.46 ride and the combined times of the three riders was only 3.06.00. This team time has only been bettered once before and that by the famous Monkton C.C. in their Competition Record of 3.05.34. I wonder what they will do before the season ends? Maybe September 8th will see them getting Competition Record, for on that date we hope to promote an Open 25. (Anyone got a fast course handy?) Anyhow we shall wait and see. So Jack, Stan and Eddie, GO TO IT. Before I finish, I must tell you that Cliff Baxter and Mark Haslam are to organise a cycling section of the L.D.V*. Notice has been given in the local press, so if any of you want to help your country with doing an interesting job, get in touch with them or myself at once. You can also help by recruiting other cyclists, clubmen or not. We can’t have Jerry-Jumpers littering our courses so, DO IT NOW. The 50 mile event referred to was held on August 4th, as planned, on a course starting at Culcheth and going via Croft, Winwick and Lowton to the East Lancs Road (A580), where left to Knowsley Island. Turn and retrace to Boothstown Island, turn and retrace to Lowton Island then left to Winwick and then via Croft to finish at Culcheth. The winner was D.K.Hartley, Dukinfield C.C. in 2.09.58. Jack Mullineux was 4th in 2.14.30. There were 58 entries and 27 finishers. The timekeeper was Mark Haslam. By the end of that year, when Britain was battling desperately against the odds, there was hardly a member of the Club not serving the war effort in one way or another, and during those grim war years the roads of Lancashire were constantly in the minds of lads widely dispersed in every quarter of the globe. To mention a few, Stan Haslam served with distinction with the Commandos in Burma, Eddie Leece was with the Royal Mechanical and Electrical Engineers in the battle for Europe, Cliff Baxter served in the Tank Corps in the Western Desert, Jack Mullineux was in the Anti-Tank Regiment and served through the desert campaign and through Sicily and Italy, Frank Cowsill served throughout the North Africa campaign and in Sicily and Italy, including the battle for Monte Casino, and Fred Eldershaw was a Naval Commando involved in the D-Day landings. The happy companionship they had known, the friendly duels they had fought, the training “tear-ups”, the annual York weekend, the Summer tours in the Lakes, Scotland and Wales, the convivial spirit of the Club Dinner and many other happy memories, must have cheered many a weary heart during those dark and troubled nights and given hope and encouragement for the eagerly awaited day when once again the friendly whirr of wheels would be heard on the road. News of home and fellow members, and the successful continuity of the Club during those long years, was due in no small measure to the devoted efforts of Ethel Baxter and her brother Bert Jolly. Ethel’s was open house to any member on leave and, to members overseas, food parcels were sent whenever possible. Those would contain “Nutty Flip” a cake, made by Ethel, containing a mixture of sultanas, raisins and nuts, which had been a long-standing favourite among club members in happier times as a “bonk food”. (Bonk is here used in its correct form known to generations of cyclists – to be “knackered”). Various events, organised by the C.T.C. local District Association, served to provide funds from which gifts were sent to members overseas, and some of the ladies formed a knitting circle to provide comforts in the form of gloves, socks and balaclava helmets. When the war ended, and the cost in deaths and casualties was counted, members of the club fared better than many others. All the pre-war members returned fit and well and were looking forward to settling back in with their families and to renewing friendships formed in those happy pre-war days spent awheel. * The L.D.V. or to give it its full title, The Local Defence Volunteers, (also known colloquially as Look, Duck and Vanish) was the forerunner of the Home Guard immortalised in the B.B.C. television programme “Dad’s Army”.